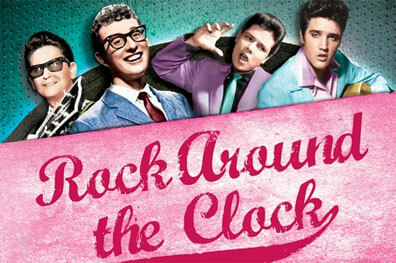 New in Holland/Belgium is this Dutch book with 4 CDs and 100 hit recordings: "Rock Around The Clock". The book and CD set focusses on the carreers of rock giants such as Paul Anka, The Everly Brothers, Elvis Presley, Jerry Lee Lewis, Cliff Richard, Buddy Holly, Bill Haley, Pat Boone, Fats Domino and many others. Written in Dutch, though. Paul Anka & Pat Boone. Rock giants? Think that says it all about this product.